North Carolina is a hotspot for craft and microbreweries. What makes Regulator different? Regulator buys at least 75% of the ingredients in each batch of our beer from local farms: we’re proud that most recipes are more than 90% local. A commitment to a thriving local food system runs deep in the Piedmont, and Regulator is fully rooted in that history. By sourcing local, we continue in a tradition begun by pre-Revolutionary farmers in our area, and invite you to join us each time you enjoy a Regulator beer. Regulator Brewing Company was started by two couples proud to call Hillsborough home. Dustin, Stephanie, Ryan and Anna put years of brewing experience and obsessive passion to good use to open Hillsborough’s first nanobrewery in 2015. 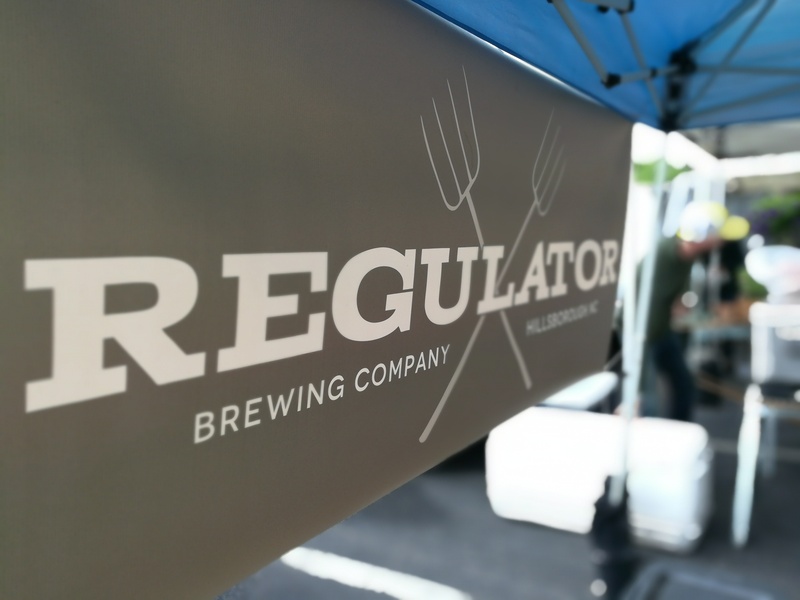 Regulator Brewing Company crafts exceptional, locally-sourced beer for the enjoyment of our community. Regulator Brewing Company supports the redevelopment of a strong agricultural tradition in the North Carolina Piedmont. Procure at least 75% of ingredients from local farms; build a business that reinvests in the local community; produce a consistent, quality product in tune with local tastes.